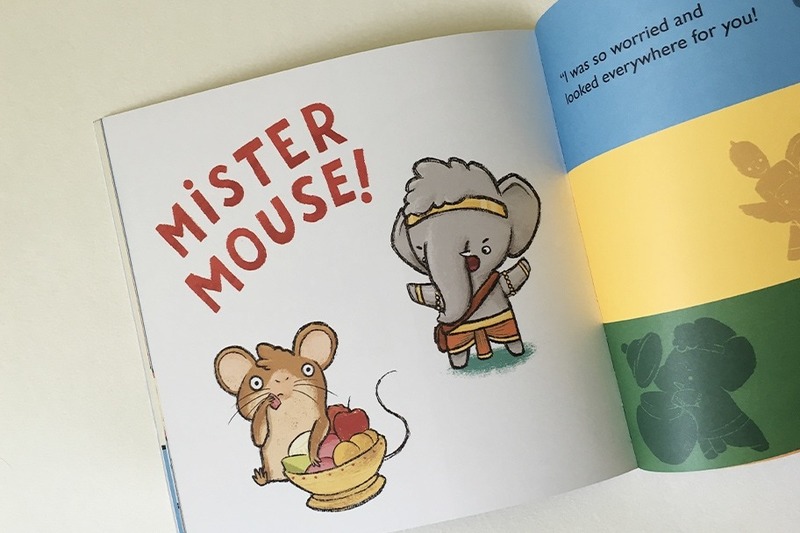 My first ever picture book! I recall how school visits the to the museum were dull affairs, an uneventful tour followed by worksheets that were all too dry. 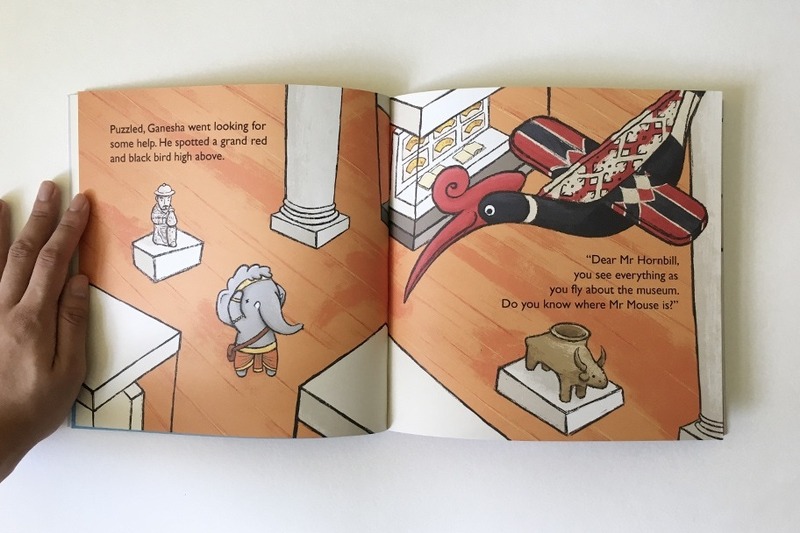 I knew I needed to do something about how children view and interact with museums, seeing them for the magnificent collections are. 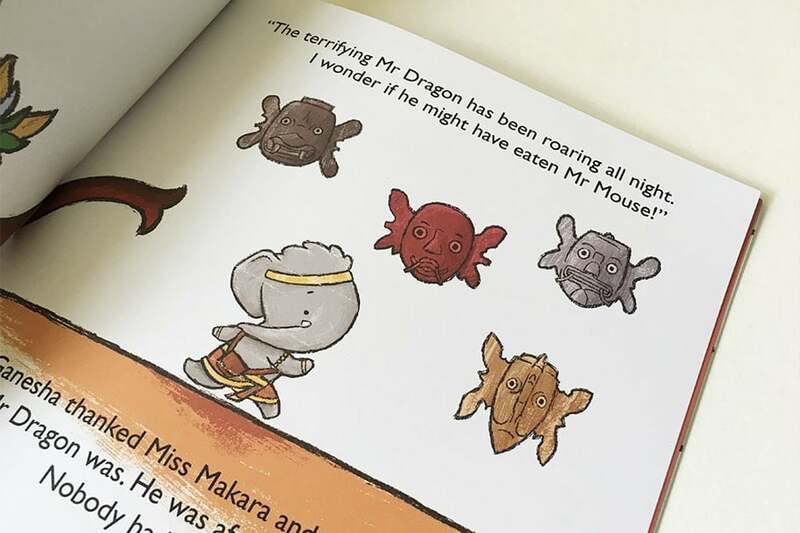 The story introduces the various artefacts from all over Asia, appearing as characters in the story to help Ganesha the elephant find his missing friend. 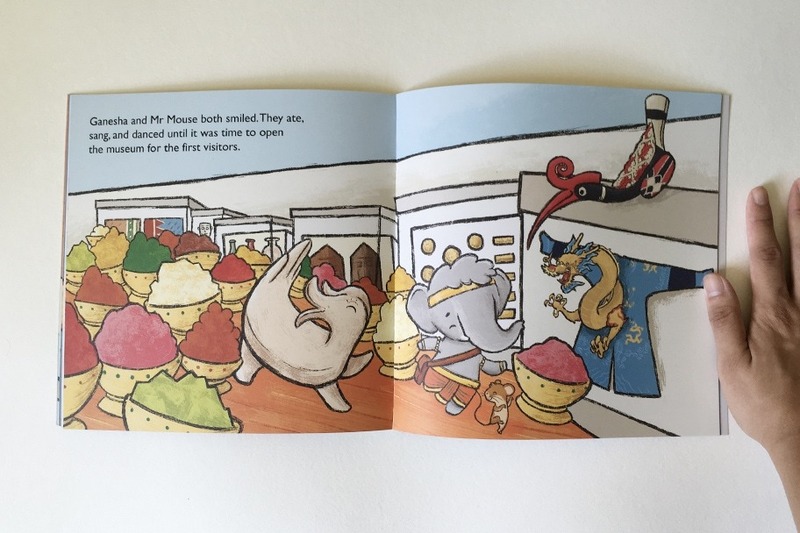 Children learn of the historical significance of the feature objecst at the end of the book, and are encouraged to explore the museum to experience them in person. 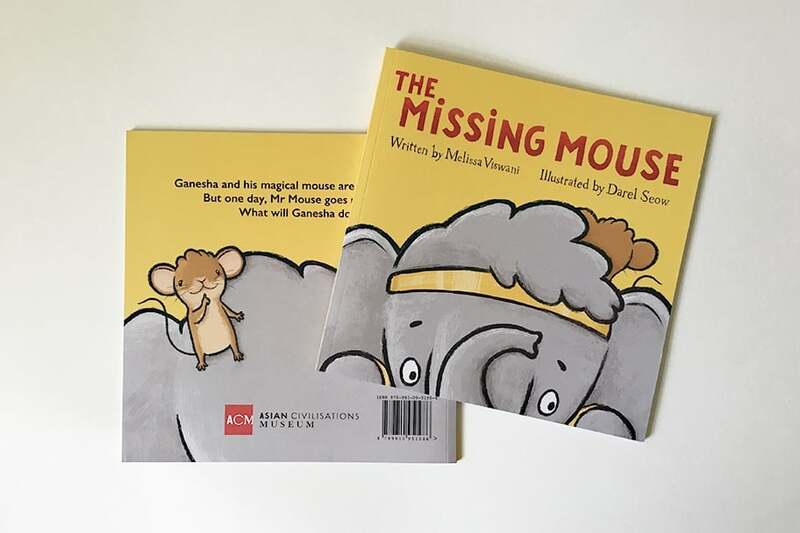 I designed and illustrated The Missing Mouse, in collaboration with the writer Melissa Viswani, which won Silver at the Samsung KidsTime Authors’ Award! Featured during the Singapore Writers Festival, I conducted a workshop which inspired children to imagine and create personal museums, stocked with objects of their fancy. Additionally Act 3 International, a theatre company for the young, staged an adaptation of The Missing Mouse, which was a real joy to behold!